It has been over 20 years since the very first Street Fighter game and Capcom have added another addition to the successful series with Street Fighter 4. The Street Fighter series is arguably one of the most respected fighting series of all time and Street Fighter 4 is most definitely the best one. The first noticeable thing with Street Fighter 4 is the character roster. 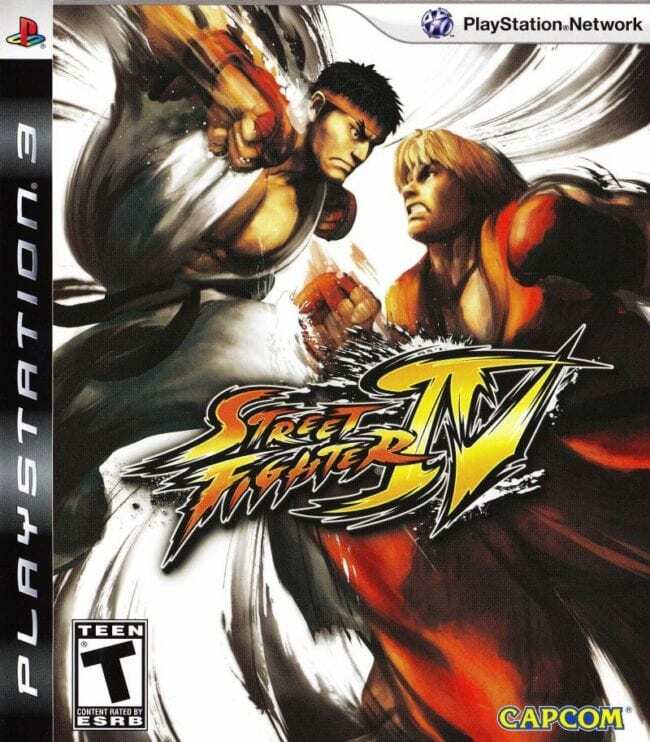 Unlike Street Fighter Third Strike where Capcom discarded just about every character, Street Fighter 4 offers all twelve of the original world warrior characters that started the series. On top of the twelve, six additional characters have been added including a new boss. Abel a mixed martial artist, a secret agent called C. Viper, kung fu fighter Rufus and wrestler El Fuerte. The new boss character called Seth has many of the abilities as the rest of the characters. The ‘Sheng Long’ conspiracy theory is finally making a long-awaited arrival to this Street Fighter, Gouken. He is the master of Ryu and Ken and has always been in the story of the series but never a playable character. Capcom has really made the effort to bring back old gamers to this Street Fighter as they have brought back all the original moves with all the characters. All the combos and special moves you could pull of in 1991 can be easily done in this version. So veteran gamers can pick up a pad and play for hours in endless fights. Beginners can also get straight into the game as Street Fighter 4 really sticks to the core of what the series is all about, which is that it’s easy to pick up and play, but incredibly hard to master. Street Fighter has never been the kind of game where you would have to master all the combos and strategies in training mode before you fight your opponent. Street Fighter is less of a memorising button combination game but more rather positioning and timing game. The gameplay is again at its best, straight to the point one on one fighting. Each character has six attacks to beat the opponent with. While fighting, each player has an EX meter at the bottom of the screen which slowly fills up. As this fills up players can pull off an EX version of a special move which causes more damage. When the EX bar is full the player can actually pull off one of the super moves. In addition to the EX feature, Street Fighter 4 has a new revenge type system. When taking damage a separate bar fills up called the ultra meter. Once this meter is full the player can perform very powerful ultra moves which do the most damage to the opponent. 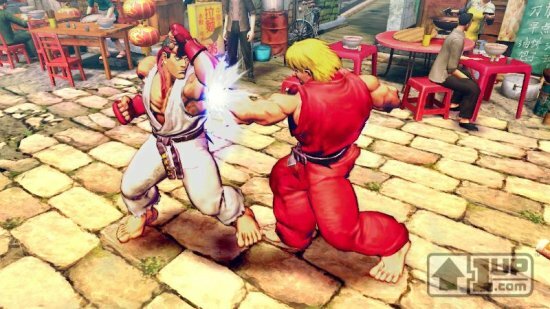 Capcom has discarded all the air blocks and the ability to parry that appeared in Street Fighter Third Strike but has added another new feature called the focus attack. Focus attacks act as a counterattack that absorbs the opponents attack while maintaining their posture and then strikes back stunning whoever happens to be on the receiving end. Street Fighter 4 graphically looks amazing. All the characters are very stylised and can sometimes look to have a little too much muscle, but overall it’s been done really well. The animation is fluid and each character has facial animation throughout the fight which is something rarely seen in a fighting game. Other additions to the game are the online support which lets you battle it out with anyone around the world and anime cutscenes which tell the background stories of each character. There is also a trial mode which lets you practice special moves and learn new combos. Criticizing this game is actually very hard to do, but to pick at a few things would have to be the fact that there is no tournament mode available online which is surprising for a fighting game. It would have also been nice to have the old bonus levels return where you would destroy a car or break barrels. The last criticism is the absence of T.hawk and Deejay, however, it is rumoured that they will be available for download soon. 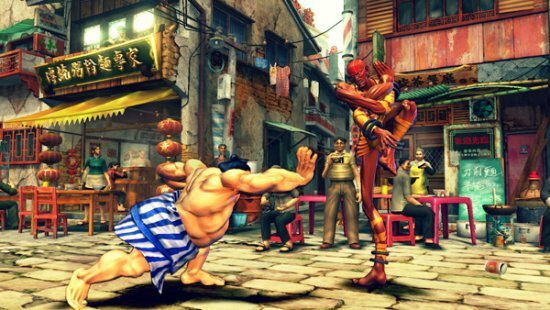 Street Fighter 4 is a must buy if you have ever liked any of the series or generally looking for a new fighting game.